Vivien is a teacher, librarian, museum worker and historical researcher. She currently provides archive, local and family history services at a local library. She has travelled widely throughout Eastern Europe and to many of the former Soviet states. A keen walker and historian, Vivien is a frequent visitor to the Highlands and Islands of Scotland and writes regular articles for Scottish Islands Explorer and iScot magazines. 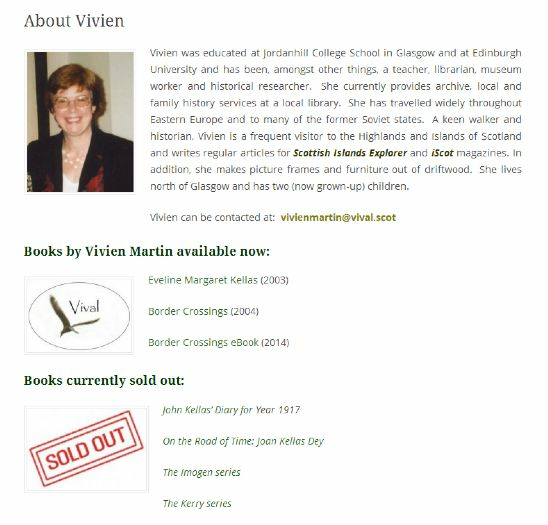 Visit the website to find out more about Vivien's books and publications.